We have reached the unofficial midway point of the Big Ten regular season, with only Maryland and Wisconsin yet to play their ninth conference game. The first five weeks were filled with parity, upsets, and fantastic finishes. With no clear frontrunner at the moment and a muddled middle of the conference, the final five weeks should have plenty in store. The Scarlet Knights came ever so close to finally moving up the rankings, leading by nine over Wisconsin with 3:22 remaining in front of a less-than-packed house at Madison Square Garden. That’s when Rutgers imploded, hitting just 1-of-5 shots from the floor, missing four free throws and committing two turnovers in the final three minutes of regulation. The Illini were unable to overcome an ‘unacceptable’ first half of basketball on Saturday, falling to Penn State and dropping to 0-5 on the road. The loss also prevented Illinois from winning consecutive conference games for the first time since the 2014-15 season. Shep Garner led the way for the Nittany Lions against Illinois, pouring in 18 points and making key plays down the stretch. The win likely helped alleviate the sting of a 27-point loss to Wisconsin earlier in the week and will give Penn State a bit of momentum heading into a rematch with Indiana on Wednesday. Thad Matta’s squad seemed to have started playing up to their potential after winning three of four conference games after an 0-4 start to the Big Ten. But with a chance to creep back within a game of .500, the Buckeyes came out flat against Iowa and were unable to recover. In a conference full of puzzling teams, Iowa may be the most befuddling. The Hawkeyes looked hapless in Champaign on Wednesday, yet three days later, with Peter Jok sidelined, they blitzed the Buckeyes. Nebraska became the last Big Ten team to eclipse the 10-win mark on Sunday, shocking the Boilermakers 83-80 in Lincoln. Perhaps more surprising than the upset itself is who led the way for Nebraska; 6-foot-8 sophomore Jack McVeigh. Relegated to the bench earlier in the season, McVeigh tied a career-high with 21 points, nailing four 3s and seven free throws in the victory. Once the third-ranked team in the nation, the Hoosiers are suddenly on the bubble of the NCAA Tournament. 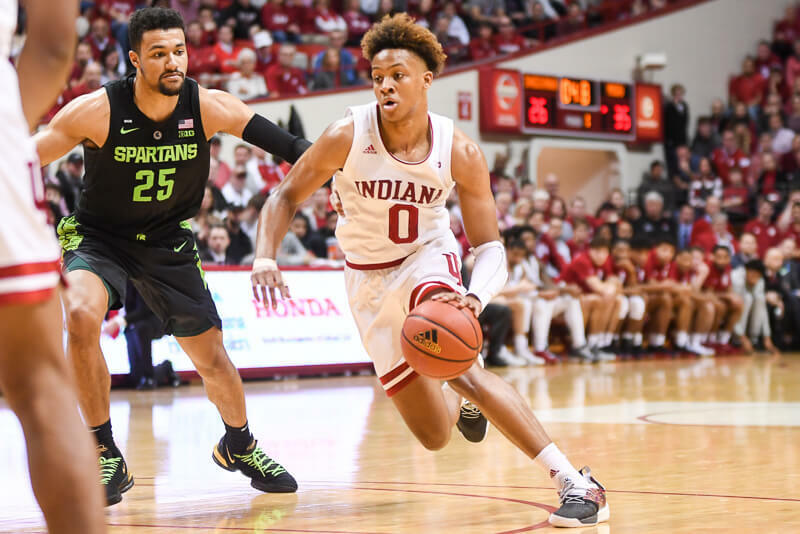 It’s been a tumultuous conference season for Indiana, and the last week was the worst yet as Indiana suffered two blowout road losses and lost James Blackmon Jr. indefinitely due to injury. The Gophers lost their fifth consecutive game by single-digits on Saturday, blowing a late lead to Maryland at the Barn. Minnesota’s offense once again fell apart down the stretch, making only one field goal in the last 2:30. After shooting the lights out against Indiana on Thursday, the Wolverines were held to 1.00 PPP when faced with a much stingier Spartan defense at the Breslin Center. Michigan, who played on Sunday with a flu-ridden Zak Irvin, will have a chance at revenge when the rivals meet again on Feb. 7 in Ann Arbor. In a loss to Purdue on Tuesday, Miles Bridges was the only Spartan to reach double-figures in scoring. On Sunday, Bridges received a boost from fellow freshmen Cassius Winston and Nick Ward, as the trio combined to put up 44 points, leading the Spartans to a much-needed win over Michigan. For all of Purdue’s strengths, with each defeat, the weaknesses are becoming more clear. Defensive lapses and costly turnovers doomed the Boilermakers on Sunday in Lincoln. Now, Purdue will enter a brutal stretch (vs. Northwestern, at Maryland, at Indiana) with little to no margin for error if they hope to remain in the title hunt. In front of a sellout crowd at Welsh-Ryan Arena, the Wildcats didn’t disappoint, crushing Indiana and inching closer to what has eluded them for decades – an NCAA Tournament berth. If Northwestern can pull off a win on Wednesday in West Lafayette, they could even find themselves in position to take a share of the Big Ten regular season crown. Freshman Justin Jackson continues to answer the call of coach Mark Turgeon, this time draining five 3s in a come from behind win over Minnesota. 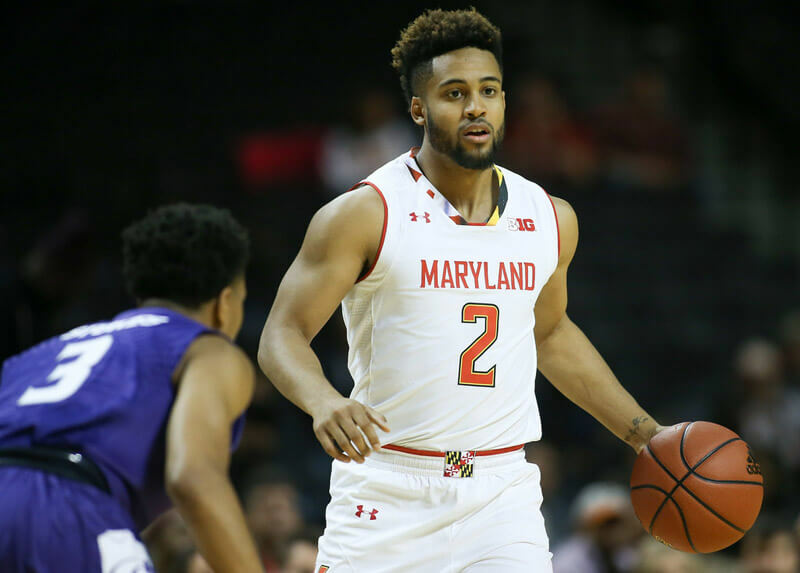 As a team, the Terrapins now boast the best three-point shooting team in the league, averaging 43.6 percent from beyond the arc in conference play. The heroics of Ethan Happ saved the Badgers from being embarrassed by Rutgers. Happ was unstoppable in the closing moments, scoring 15 points, recording two assists, a steal and a block in the final 8:11 of the contest. 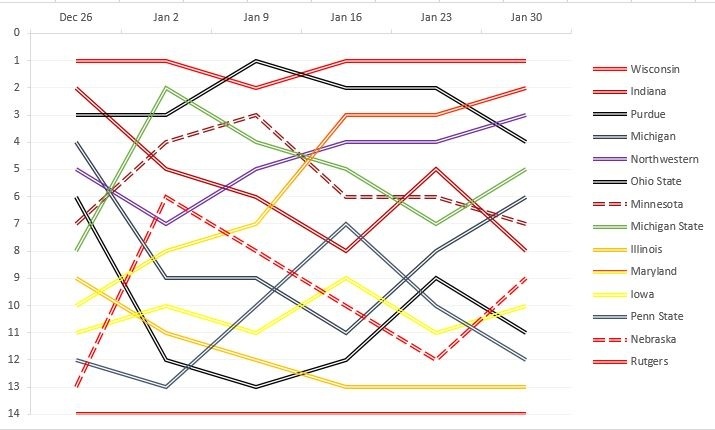 With the win, the Badgers remain in the driver’s seat to win the conference, as KenPom has the Badgers as the favorite in all 10 of their remaining regular season contests. Honestly, we should be behind Nebraska. Maybe even Iowa. We are a dumpster fire of epic proportions. Even with the injuries the talent level we have in Thomas, DeRon, Rob, Juwan, Curtis, and Devonte is as good as most yet we’re a dumpster fire as Hoosier Hall puts it. How long can this coaching situation be allowed to go on? Is it at the point where Glass has to go as well so we can fix basketball? This is killing me. Don’t know how we are ahead of Nebraska. By the end of the year I could see us in the bottom three. Nebraska has the same conference record as us, has the same differential between offensive and defensive efficiency, and beat us at home. They are coming off a victory over a top 20 team, we are coming off a week in which we lost twice, including one game in which gave up the 8th worst defensive performance of the last 10 years in all of college basketball. So yeah, I’d say that they should be ahead of us in the power rankings this week. Well, short of a scandal of some sort, he wont’ be let go in the middle of this or any other season. Very little to be gained, but lots of disruption to both current and prospective players. I don’t think he’ll be let go at the end of the season either, at which point the questions can be more fairly asked about whether the state of affairs is acceptable to the athletic office. I suspect he’ll be given one more season to get things right, in part due to the buyout and in part due to the B1G championship last year. It happens, but it is pretty hard to go from B1G champion and COY to getting fired in just one year. So I suspect next year is the year his fate gets determined. I bet he pushes for and gets an extension this summer. I read somewhere that there are grumblings about CTC from the directions that actually matter, i.e., not us grousing fans but important donors and such. We’ll see, of course. it will be interesting to see how this team handles the rest of the schedule. All teams face challenges. Losing OG and JBJ along with Colin is significant. However, the remaining pieces in place should get us to the NCAAs and mid big ten placement. Bryant clearly has to step up and is certainly capable of doing so. My concern is defense and TOs – both of which are critical for this team to succeed. I’ve not only read it, I’ve heard it. Not enough to say I know anything, but more so than at any other time since things went south. I am not a big donor myself, but my network of long-time friends includes people well connected in that world. I created a nice visual representation of the power rankings so far…Not exactly free-fall for IU, but that’s only because I think they’re still being given a bit too much credit this week for JBJ’s insane shooting night against MSU. I have to say, I headed into this season somewhat rejuvenated about CTC after last season’s turnaround. I respected how he connected so closely with the players, shepherded a really cohesive team, simplified his defensive schemes that became much more effective late, and was better at in-game adjustments and actual coaching. I had probably been tipping toward supporting his replacement after 2014-15. Now, I’m tipping back toward supporting his replacement. I know the team lost a lot of leadership with Yogi’s departure and CH’s injury. This is a young team, etc., etc. But it seems like CTC simply has not managed to pull out another leader, to become a real leader himself, to make adjustments throughout the season to what personnel he actually has available, etc. Could another coach have done better? Well, we can only speculate, of course. But given the entire body of work, I’m very disappointed with how absolutely disjointed the team has been at times this year, and the fact is — we have the KU and UNC games to show us how much talent is actually on this team and what it could possibly accomplish. Okay…I understand IU played horrible basketball this week, but you put them under Minny, and the first thing in your write-up about them is that they are on a 5 game losing streak. They have a worse record in the B1G. Their KP and Sagarin ratings are worse too. This really isn’t meant as a knock on you Mark and I respect your thoughts and opinions here. But the fact that within a few months your opinion (and plenty of other’s) of CTC swung so far in both directions just reminds me how fickle we as fans can be, and how delicate a balance every season is. The injuries aren’t a complete excuse, but they matter to the success of this team. Every team is a couple injuries, a personnel/coaching problem, a dismissal, etc. away from a “disaster” season. I agree this team has had problems and many probably stem from CTC, but we also need to give respect where it is due. The guy has done some good things and we shouldn’t throw him out without a solid replacement plan. And even then, whoever we brought in will be a flawed human being just like the rest of us. But Nebraska is behind us. Does that make any sense? I hear you, and trust me, I’ve thought about that aspect of my own position as well. I don’t _want_ to be so fickle, and I’m not trying to be. 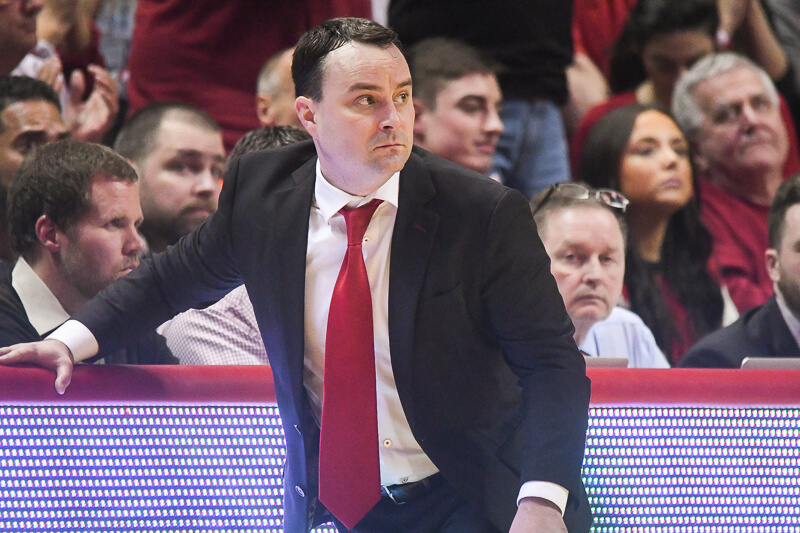 However, I have to admit that I’ve never been 100% confident that CTC was the right coach for IU — but at the same time, I’ve tried to support him, recognize his strengths, and give him some leeway for things like injuries and the vagaries of recruiting. As I said, I was leaning more toward thinking CTC should probably be replaced prior to last season — and of course, the process should be respectful toward CTC and carefully planned — and then the second half of last season changed my mind. And then, I simply haven’t seen the same level of coaching this season, and so I’m really just returning to my previous position — which is that CTC is a very good man who really cares about his players, but that he’s lacking in some areas of coaching that are necessary to take IU to the next level. Had the team been performing as we could expect given the level of talent prior to OG getting hurt, and if the team had performed as it should losing just one important player, then I would be more than willing to give CTC more of a pass. Unfortunately, that’s not the case — the team has gone off the rails, and absent a miraculous turnaround then there’s a ton of talent being squandered. I can’t help but put a good portion of that on CTC, as much as I hate doing so. I’ll add that I hope I’m not coming across as disrespectful toward CTC or the team. I certainly don’t mean to do so — as I said in my other response, I have a tremendous amount of respect for CTC. I certainly don’t want to join that camp that attacks and insults CTC and even some players at every turn. I was highly anticipating this article just to see how homerish our ranking would be and as I expected very homerish. If you are judging where each team is at right now we have to be put in the bottom 3. Only way we are 8th is if you judge us with ALL our players. I know a lot of you could care less about pressers, interviews, and media reports but if you are a true IU fan you need to catch the latest “Journey” edition on BTN. It’s about Collin Hartman and his recovery from knee surgery. It will reinforce any opinion about the quality of people we have on our team. What an outstanding kid! I always liked Collin, but even moreso now seeing what he has to go through. The worst part of this season is all the devasting injuries we’ve sustained. Really make you feel for these kids. To CH, chin up brother you will be a huge success in life no matter what you choose to do. You also can’t discount the impact of playing most of the season with two players like OG and JBJ, and then losing them. Teams do have to adjust to such things. Thoughtful and reasonable opinions sir. It is a practice in many industries to shuffle personnel as a healthy and necessary way to increase adaptation and innovation. 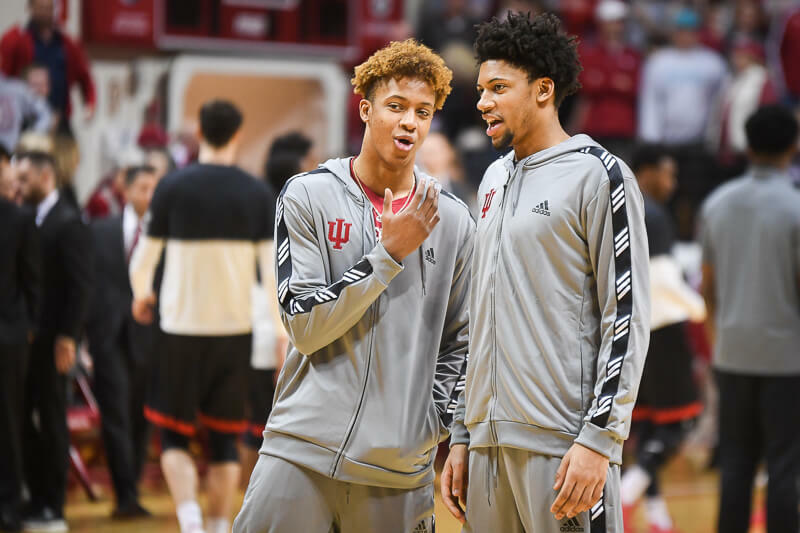 It is possible, that without any disrespect for CTC, IU could move forward to mix things up with a new coach, new style, new whatever, just to keep things fresh and exciting. We can still love what CTC has done for IU while looking forward. Mark always has thoughtful and reasonable opinions and I also agree with you about the keeping things fresh and exciting. Here’s one that’s fresher than a newborn baby. Hire Calbert Cheaney. Sounds crazy but you have to admit it doesn’t get anymore fresh and exciting. I’d throw Hartman in as assistant. Love that kid too. I am actually 65.5% serious according to kenpom. Yes, they have only 10 victories for the season vs.11 losses. I missed it. Hope they play it again. 3:30 CS/4:30es today, 2:30cs/3:30es tomorrow and 10pcs/11es wed. It’s not totally about Collin. You have to put up with a piece about Swanigan too. Good piece on Collin though. Your post was the first time I’ve thought about things from the POV of 3 bad seasons out of the last 4. That is pretty substantial. I’ve actually defended CTC with the 2 outright B1G titles in the last 4 years perspective, but I think your stat has now become the much more relevant standard. I’m not sure if he should be allowed to overcome that at Indiana. Thanks! Will watch it shortly with my son. He loves Hartman. Yet are 4-5 in the Big Ten just like us. And own the head to head. Nebraska has no great wins. IU has their early season big wins. My best guess is those are factored in? They’ve beat Purdue and Marylandin conference. What has Indiana done recently? These are power rankings. They go off what has happened recently. Nebraska lost at Northwestern by 12 and beat Purdue… we lost by 30 at Michigan and by 13 at Northwestern. Before they beat Purdue by 3 points at home, they had lost five in a row. They beat us on the road by 4 points and followed that up with a victory at Maryland by 2 points. Then they beat Iowa at home by 3 points before losing five in a row (two at home and three on the road – even to Rutgers by 1 point). But to be truthful, I am not interested in Nebraska, I am more interested in how we bounce back against Penn State on Wednesday. They’ve lost 5 of 6, so yeah…it makes sense to me. I’ve never been a huge fan of weekly power rankings, because they suffer so much from recency bias. I get that they are meant to be fun and start discussion, but I have difficulty seeing IU behind Minny all things considered.